GreenLake Hybrid Cloud announced at HPE Discover event, and looks to help cloud migration for businesses. HPE wants you to move to the cloud, and it’s doing everything it can to make that process as simple as possible. 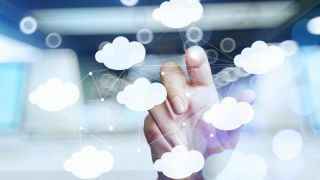 At the company's HPE Discover, which kicked off today in Las Vegas, HPE announced the GreenLake Hybrid Cloud, a new consumption service created to help organisations optimize and manage clouds, both on-premises and off premises. With GreenLake Hybrid Cloud, customers can consume the exact cloud resources they need, depending on their workloads, while staying compliant, and getting better speed and price. At least, that’s what HPE claims. And yeah, it’s automated. HPE says Hybrid IT, even though a reality for the majority of enterprises, is a struggle because of its complexity. The company is leveraging its recent acquisitions, CTP and RedPixie, to solve that problem. Through GreenLake Hybrid Cloud, HPE promises rapid time to value, simplified IT and services for continuous management of specific cost and compliance controls, for public and on-premise clouds.